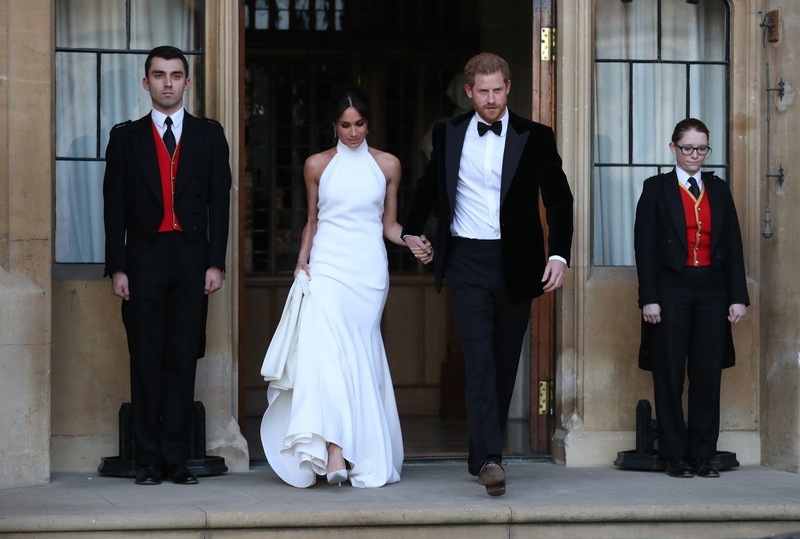 The new royal couple - who were today named the Duke and Duchess of Sussex, enjoyed their evening with an exclusive bash with 200 close friends and family hosted by the Prince of Wales, Charles, Harry's father. 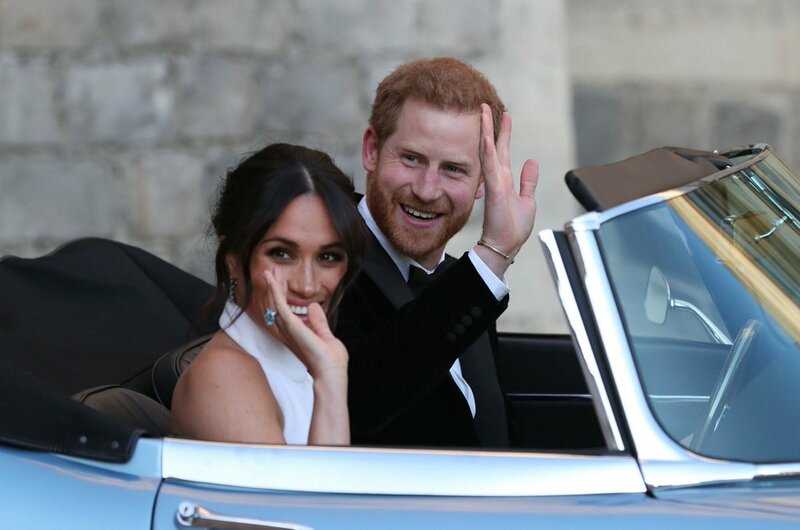 Prince Harry, 33, and Meghan Markle, 36, tied the knot in a spectacular wedding ceremony at Windsor Castle. 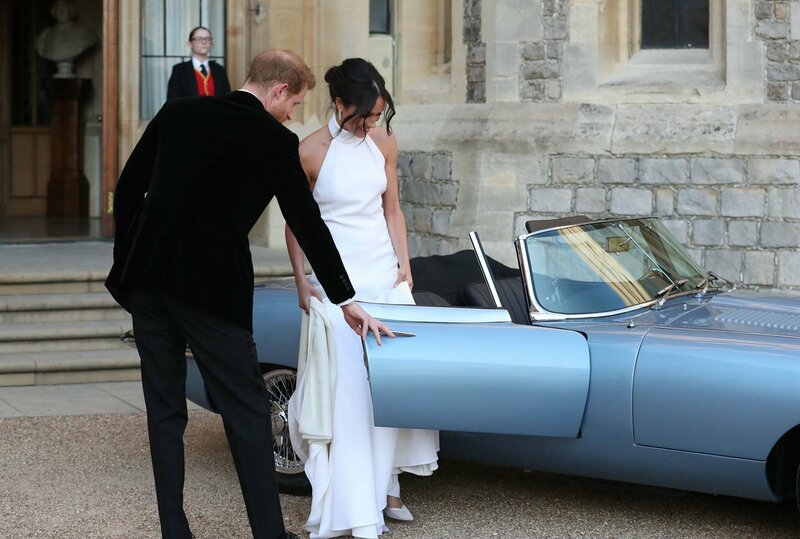 Prince Harry helped his new wife, who was wearing a bespoke Stella McCartney gown, into the car, an electric convertible silver-blue Jag, as she held the long dress. Keeping up with the 'something borrowed, something blue theme', Meghan wore an aquamarine ring that one belonged to Princess Diana, and continued to carry forth her late mother-in-law's legacy. Meghan's bespoke Stella McCartney high-neck gown was fashioned out of silk crepe, while her silky satin shoes were Aquazurra, with the soles painted a baby blue. 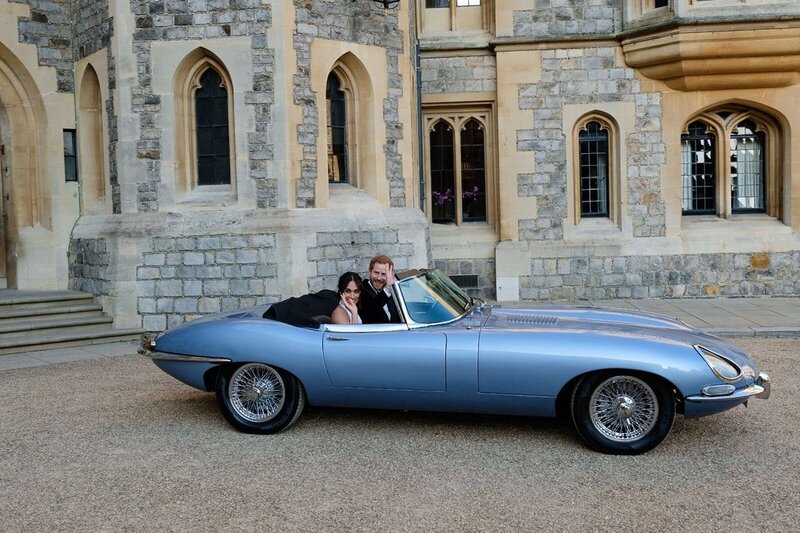 The couple headed to Frogmore House for the evening reception held at 7.15 pm, and topped off the evening with a round of fireworks.